Why does a film making business care about a marketing “guru” like Seth Godin? Times, they are a changin’ and if you don’t figure out what’s going on you will be lost. Seth has a lot of ideas about these changes and how to change with them. More importantly, his solution to this change is to help you be more human, caring, interesting, and inspiring. So you can do the work. “The work” is Seth’s term for what we need to be doing; the change you need to be making in the world. Your work and my work are completely different because we are different. Stephen Covey calls this “a Voice”. I call it “a calling”. And that is why this post is here. Bourne Media cares about doing The Work. And you should, too. 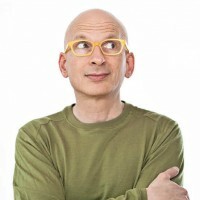 So here are some links to Seth Godin‘s work.